He already has a neck tie. This year give Dad something truly heavenly for Father's Day: SpaceWeather PHONE. 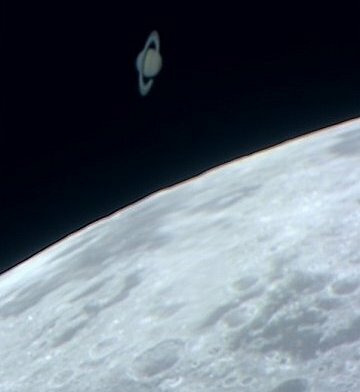 IN DEFENSE OF THE NIGHT SKY: Many of the wonders you see daily on spaceweather.com are visible because, somewhere out there, last night's sky was dark enough for astronomy. The problem is, "the quality of the night sky is deteriorating at an alarming rate." So says UNESCO and other groups who met last month on the Canary Islands to discuss the growing problem of light pollution and disappearing stars. Their Declaration in Defence of the Night Sky is a must-read for anyone with an interest in the heavens. more images: from Pete Lawrence of Selsey, West Sussex, UK; from Emiel Veldhuis of Zwolle, the Netherlands; from Rob Johnson of Liverpool, England,; from Pavol Rapavy of Rimavska Sobota, Slovakia; from Günther Strauch of Borken, NRW, Germany; from Rijk-Jan Koppejan of Middelburg, The Netherlands; from Amir Hossein Abolfath and Babak Amin Tafreshi of Tehran, Iran; from Alex Lloyd-Ribeiro of Durham, UK; from Peter Zboncak of Rimavska Sobota Observatory, Slovakia; from Les Brooks of Woodstone Village, Durham, UK; from Martijn Dekker of Elst, the Netherlands; from P-M Hedén of Vallentuna, Sweden; from Stephane Palfray of Etainhus, Normandy, France; from Philippe Mollet at the MIRA Public Observatory near Brussels, Belgium; from Joel Bavais of Ath, Belgium; from Patrick Bornet of Saint-Martin sur Nohain, Nièvre, France; from Chris Newsome of Derby, UK; from Florin Marc & Raul Truta of Targu Mures, Romania; from Toni Scarmato of San Costantino di Briatico, Calabria, Italy; from Davide Cirioni of Vigevano, Lombardia, Italy; from João Cruz of Leiria, Portugal; from Enrico Perissinotto of Talmassons Udine Italy; from Domenico Licchelli of Gagliano del Capo, Italy; from Patrice Arnaudet of Mery sur Oise, Val d'Oise, France; from Paco Bellido of Córdoba, Spain. 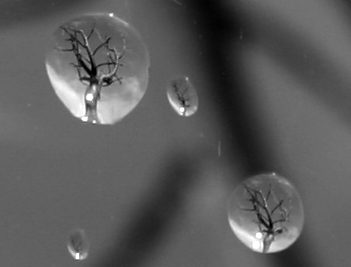 A TREE IN A DROPLET OF WATER: Recipe for a great photo: Splatter a pane of glass with droplets of water. Place the glass in front of a tree. Point a camera at the droplets and--click! Photographer Guillaume Bertrand of Saint Laurent sur Sèvre, France, invented the recipe, followed it, and obtained the picture above on March 30, 2007. "I used a Canon EOS 300D digital camera on a tripod with ISO 200 and a 1/1000s exposure," he explains. There's only one thing wrong with the picture. "It's upside down," he says. "I had to flip it over to make the tree limbs point toward the sky." Water droplets act as inverting lenses, so in the original photo the trees were trunks-up. Meanwhile in San Francisco, Mila Zinkova discovered you can fit an entire suspension bridge inside a raindrop. This photo captures the Golden Gate Bridge multiplied through the rain-splattered windshield of her car. On May 23, 2007 there were 862 potentially hazardous asteroids.